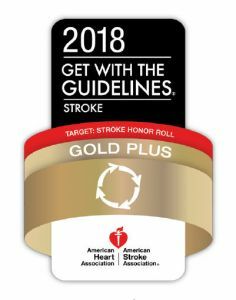 Cooley Dickinson Hospital received the American Heart Association/American Stroke Association’s Get With The Guidelines®-Stroke Gold Plus Quality Achievement Award in May. Congratulations to all Cooley Dickinson providers and employees who contributed to earning this important recognition from the American Heart Association. Cooley Dickinson Hospital earned the award by meeting specific quality achievement measures for the diagnosis and treatment of stroke patients at a set level for a designated period. 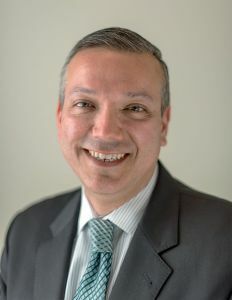 “Cooley Dickinson is dedicated to improving the quality of care for our stroke patients by implementing the American Heart Association’s Get With The Guidelines-Stroke Initiative,” said Chief Medical Officer Estevan Garcia, MD. Those measures include evaluation of the proper use of medications and other stroke treatments aligned with the most up-to-date, evidence-based guidelines with the goal of speeding recovery and reducing death and disability for stroke patients. Before discharge, patients should also receive education on managing their health, get a follow-up visit scheduled, as well as other care transition interventions. In addition, Cooley Dickinson Hospital earned the association’s Target Stroke Honor Roll award. 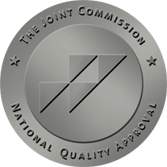 To quality for this recognition, hospitals must meet quality measures developed to reduce the time between the patient’s arrival at the hospital and treatment with the clot-buster tissue plasminogen activator, or tPA, the only drug approved by the U.S. Food and Drug Administration to treat ischemic stroke. According to the American Heart Association/American Stroke Association, stroke is the fifth cause of death and a leading cause of adult disability in the United States. On average, someone in the U.S. suffers a stroke every 40 seconds and nearly 795,000 people suffer a new or recurrent stroke each year.